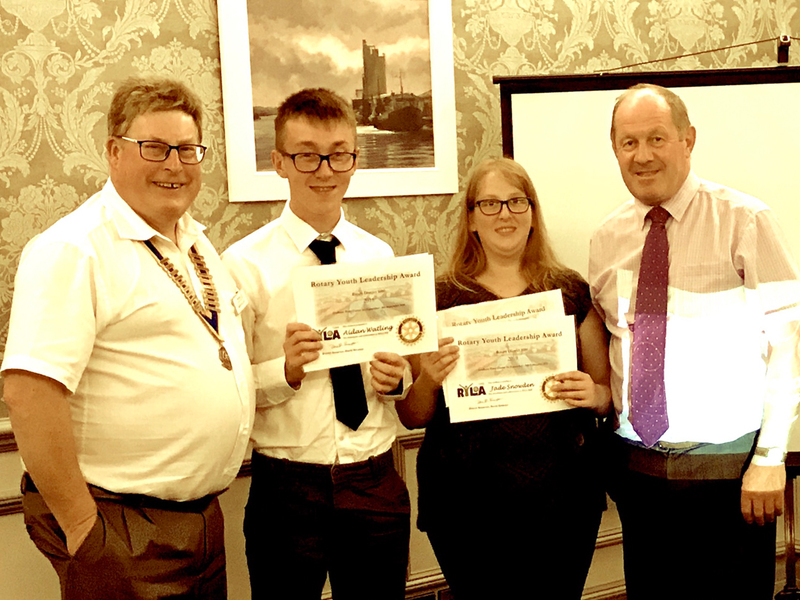 The Rotary Club of Lowestoft East Point were pleased to sponsor Aidan Watling and Jade Snowden from East Coast College on the Rotary Youth Leadership Award ( RYLA) scheme held at Grafham Water Centre in Cambridgeshire from 1st – 8th September. RYLA is an intensive 7 day fully residential programme which takes young people aged 18-26 out of their comfort zones by challenging established beliefs and boundaries. The course gives them an opportunity to develop leadership qualities, increase their self-confidence and gain new skills whilst developing existing ones. After introductory ice breakers, our attendees were placed into small teams before embarking on a night hike to get to know each other. Over the following days, Aidan and Jade completed various team building exercises – some physical such as a building a raft and paddling it between two points on the water and some more technical, for example developing a business idea and pitching it to a panel of experts. 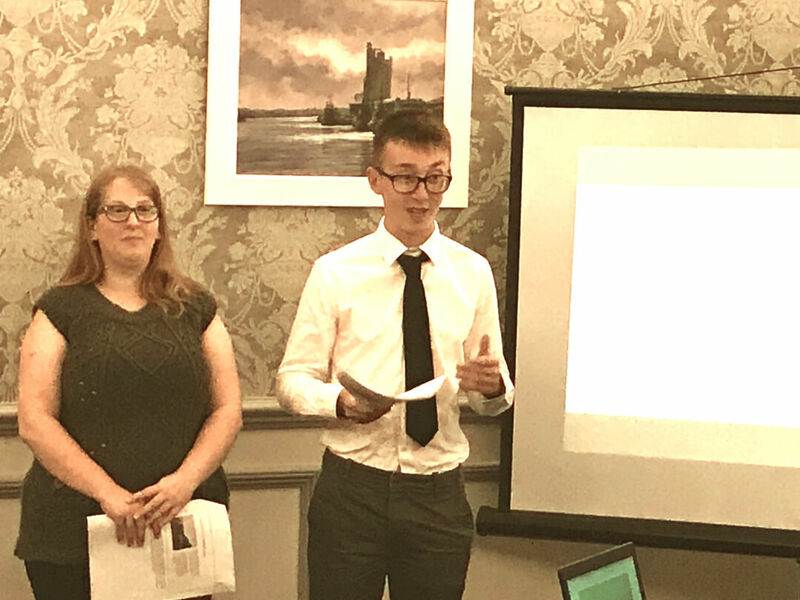 Both Aidan and Jade were enthusiastic about the RYLA programme and agreed that they had both gained greater self-belief, and improved their listening, communication and presentation skills. They were able to use some of these qualities when they attended a meeting at Lowestoft East Point Rotary to give an in depth insight into their week of activities after which they were presented with a Certificate of Attendance and a Continuous Professional Development (CPD) certificate detailing the course and hours spent on each discipline. Our pictures show Aidan and Jade completing their talk and being presented with their certificates by East Point Rotary Club President, Martin Lott and Tim Passmore, Suffolk Police and Crime Commissioner, who is a keen supporter of the scheme. The candidates expressed thanks to their sponsors, course tutors and external agencies including Suffolk Fire and Rescue, Border Force, British Army as well of course as Rotary for organising the event. East Point Rotary hopes that the RYLA scheme will help both candidates to achieve their ambitions in the workplace. Are you interested to find out more about Rotary and what we do? If working together with a great bunch of people in a fun and friendly, social environment to help others sounds like something you’d like to be involved in, then simply click the button below and submit the simple form. One of our Club Officers will call or email you with some further information and tell how you can get involved.